For the first two hours, All The Best is a tolerable if uninspired slapstick comedy. But, due to the movie’s racist final scene, it’s not worth watching. 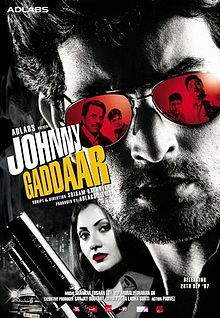 The movie focuses on aspiring rock star Vir (Fardeen Khan), who lives off of the largess of his globe-trotting step-brother, Dharam (Sanjay Dutt). In order to get a larger monthly allowance from Dharam, Vir tells his brother that his girlfriend, Vidya (Mugdha Godse), is actually his wife. Since the two brothers rarely see each other, the lie goes unchallenged until Dharam lands in town for a layover on his way to the small African country of Lesotho. The layover turns into an extended stay when the country experiences a military coup. Vir turns to his best friend, Prem (Ajay Devgan), for help. Since this is a comedy, all of Prem’s ideas to deceive Dharam make things worse, especially when Dharam mistakes Prem’s wife, Jhanvi (Bipasha Basu), for Vir’s pretend wife, Vidya. The bulk of the humor centers on mistaken identities and the friends’ attempts to keep the truth from hot-tempered Dharam. Basu and Ashwini Kalsekar, who plays Vir’s maid, Mary, are the most successful at generating laughs. But All The Best falls back on the same cliche seen in many recent Bollywood comedies: gangsters. If one were to form an impression of modern India based solely on Hindi cinema, India would seem as overrun with gangsters as Chicago was in the 1920s, only with the gangsters more inept and less threatening than their American predecessors. The most pathetically unfunny of the bunch is Topu (Johny Lever), the mute gang leader. He communicates with his lackeys by banging a spoon against a glass, as though he were trying to get a newly-married couple to kiss at their wedding reception. It’s the stupidest gimmick since the mute villain in Karzzzz, who communicated via a musical keypad on his wrist. If that weren’t insulting enough, three of the characters are Indian actors — including Bipasha Basu — in blackface make up. Coming just a few weeks after American musician Harry Connick Jr. took an Australian comedy troupe to task for the same offense, All The Best‘s racist attempt at humor comes off as particularly crude. For Indian cinema to be taken seriously in the rest of the world, it needs to drop these outdated, racist jokes. Bollywood’s top stars need to lead the way. Bipasha Basu should have refused to perform the scene in blackface, just as Akshay Kumar should’ve said no to his blackface scene in Kambakkht Ishq. 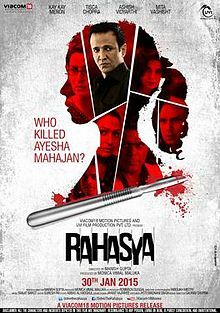 This entry was posted in Reviews and tagged 1 Star, 2009, Ajay Devgan, All The Best, Ashwini Kalsekar, Bipasha Basu, Bollywood, Fardeen Khan, Harry Connick Jr., Hindi, Indian, Johny Lever, Karzzzz, Movie Review, Mugdha Godse, Sanjay Dutt on October 27, 2009 by Kathy.